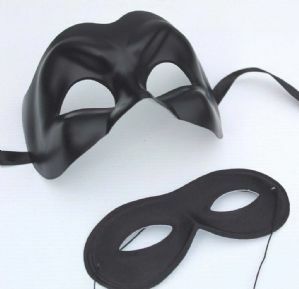 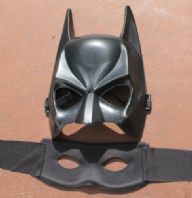 The first mask is a mens top quality midnight black mask in the style of batman. This mask is made out of a hard durable plastic and fastens using ribbon ties. 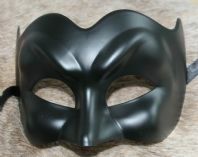 The depth of this mask is 4.5”/ 11cm.